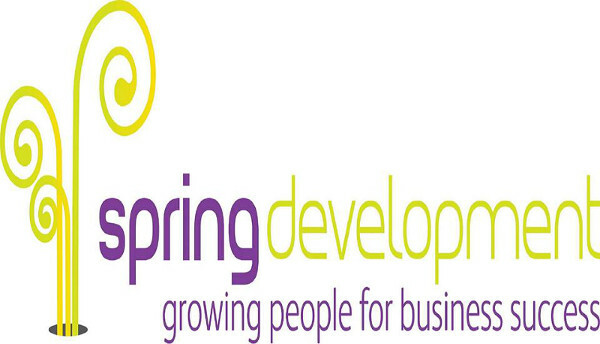 What, Exactly, Is Business Development? .Apparently Business development is the creation of long-term value for a business from customers, markets, and relationships. These relationships with partners, customers, employees, the press, etc. are all critical to the success of any business. But how does that work? We’ll find out more from the different service providers, of which there are many. We extract a few business development tips as well as learn their story. Our guest experts are Emma Selby, Carie Lyndene, Lisa Warner and Karen Matthews. Asking the questions is business communications expert and regular guest presenter Chris Hogan. The Hub is a growing network of small businesses sharing business resources and information. They hold co working, networking and training events for start ups and established businesses. In January 2014 they won the ‘XCiting New Business Award’ and were given premises to open their first innovative Business Hub for Surrey and Hants in Hampshire. Open since July 1 2014. Their second premises is now open at the Aldershot Enterprise Centre. They anticipate a third and fourth later this year. known as The Coach’s Coach. Carie loves working with you whether you are a designer, consultant, coach, author, therapist, expert in your field or a company director, to help you reach your true potential and get your profits going through the roof! Her business career started running a direct sales company where she personally sold over £10 million of products. She then moved into Networking Marketing with global health companies where, as one of the Top 10 Distributors, she grew a small home based business to a $3.5m annual turnover. More recently, she has established her own successful businesses, the first being Childhood Matters, which became an OFSTED Outstanding Early Years & Positive Parenting Centre followed by The Success Coach, her specialised coaching and training company in Marketing and Sales. Breakthrough your blocks to Success including Staff and Money Issues. Develop the Confidence and Clarity to take your business to a wider audience. Create a Business Growth and Marketing Strategy that Works. Become IRRESISTIBLE to Your Ideal Clients who will buy time and time again. Leverage your business knowledge by creating info products or group courses. Carie speaks regularly at Conferences, Business Groups, Seminars and is a sought after guest on Radio Shows. Lisa Warner is an Award Winning Entrepreneur, Author and Motivational Speaker.The former housewife and full time mum likes to think big, so when she founded Fink Cards in 2008 she combined a massive vision with a huge amount of energy, passion and excitement. Within one year she had developed a range of products that sold worldwide, reached millions of people on radio and TV, and had been featured in many national newspapers and magazines. Her energy and passion to help families and children become confident communicators has taken her on a fascinating adventure, within a year of launching her business she went from ordinary mum to Female Entrepreneur of the Year in the O2 X Awards, and was the only UK finalist in the 2009 Cartier Women’ Initiative Awards. Lisa is not your typical business women. She doesn’t wear a suit, she doesn’t do things the way they’re supposed to and she certainly doesn’t behave like a man to get ahead. She is an ordinary mum who came up with a simple solution to an everyday problem and made it happen. As a mum of four children she witnessed firsthand how the negative cycle of bickering and arguments had a detrimental effect on family life. She created conversation cards to get her family to stop fighting at mealtimes and as a result transformed her family into confident communicators. She believes we have forgotten the basics like simply talking to each other, and the answers to many of societies difficult and complex problems start with a conversation. She is a firm believer that the solutions don’t always have to be complicated or expensive. In fact, simple, honest conversation that builds relationships is a great place to start. In addition to being an entrepreneur she is also a mum to four children, aged 15 -22. She has been married to Glenn for 20 years and recently became a grandmother at the age of 39. Independent consultant helping small businesses and start-up businesses to grow and develop. Karen provides support, advice and information to SME’s, the public sector and social enterprises. The support to businesses include helping them to find premises, new ways to market, sources of funding and business planning. Karen does this by using her extensive network of contacts to put businesses in touch with each other and other public sector organisations to help foster local trade and collaboration. She also uses her knowledge of the planning system and the council processes to help businesses with complicated planning applications, licensing issues and business rate issues. Consultancy services include :- business planning, supporting BIDs and town teams with consultation, business engagement, project planning and events management. Karen will also work within a business helping them with their marketing, updating their website, their accounts and their cash flow. This can be for a few hours or more, depending on what is needed. Having worked in her parent’s retail business from the age of twelve (Yes I did say 12 !) and also helping her husband expand his business in the last three years, Karen has got to understand how the small business works. Helping businesses is Karen’s passion. She feels very strongly that every small business matters, and if she can make a difference then she’ll have achieved her goal. This week the Knowing Your Business Radio show has been presented by Ian Gentles and Chris Hogan.